If you were wondering when Alexisonfire frontman George Pettit and the rest of his punky Dead Tired project would be putting out their previously promised full-length debut, it turns out it's actually already arrived. Digital copies of the band's self-titled album go on sale next Tuesday (March 17) via New Damage Records, and it's already streaming in full online. A press release confirms that the 12-song effort will be available in the digital realm ahead of physical copies. Limited-edition test pressings will apparently be available in April, with standard-issue copies arriving later in the spring. 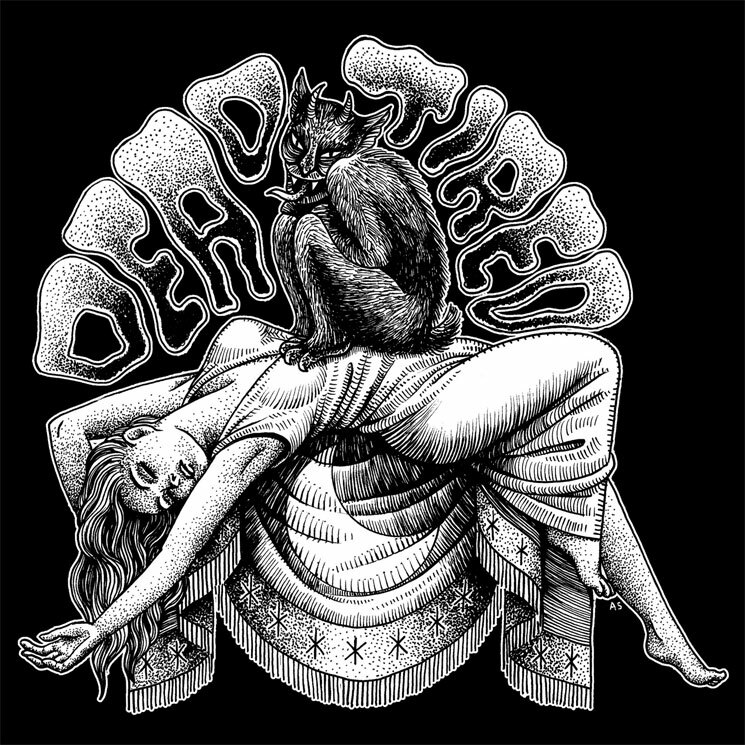 As previously reported, Dead Tired cut the record at Hamilton, ON's Box Car Sound studios with engineer Sean Pierson. In addition to the dudes in Dead Tired, TV Freaks' Dave O'Connor and Martin Farkas of Career Suicide contribute to the set. You'll find a stream of the album, which includes previously premiered thrasher "Court of Public Opinion," down below, courtesy of Noisey. There, you'll also find info on a handful of live dates the band have on their horizon. Pettit will also be busy with Alexisonfire, with the screamo faves having announced earlier in the week that their reuniting for a series of summer festival dates. This includes stops at Heavy Montreal, X-Fest, Sonic Boom and Toronto's Riot Fest. You'll find the date details here. 05/09 Ottawa, ON - Ritual !